Get your own group of riders together and we can create and personally deliver a tour specifically designed to meet your needs and interests. Historic towns, rolling plains, stunning castles, deep river valleys, tiny back roads, sleepy villages, low hills, big mountains, windswept beaches – the choice is yours. My wife Carolyn and I will both design and deliver a customized tour for you. We only work with small groups (normal maximum of 10 riders) and we’ll be there with you from day one of the tour until we say goodbye at the end. We believe that friendly, personal and expert service is what makes our tours – and your experience – special. We can adapt one of our existing guided tours or plan something completely bespoke depending on what you want to do, where you want to go and how much time you’ve got. For a further example, scroll down for details of a 10-night custom tour we ran in May/June 2017. You can also see what riders thought of our previous tours on our Reviews page. For further tour news and other information on biking in Portugal don’t forget to also check out the Pedal Portugal Facebook page and blog. “Huw and Carolyn…made everything seamless for us. 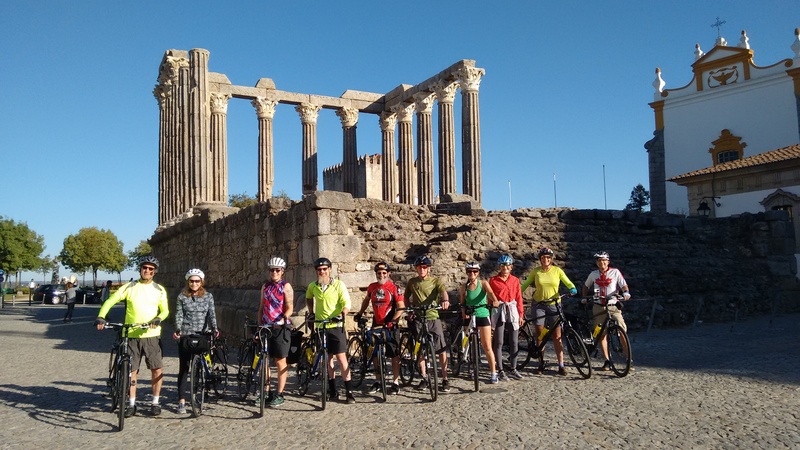 The 10-day bespoke tour in the Alentejo that Huw planned and delivered for me and 8 friends…met and exceeded all expectations.” Caroline Moore, Oregon. Depending on factors like where we are going and the time of year, we may also be able to factor in other activities like walking tours of historic towns, trips to see old fortresses, visits to the beach etc. 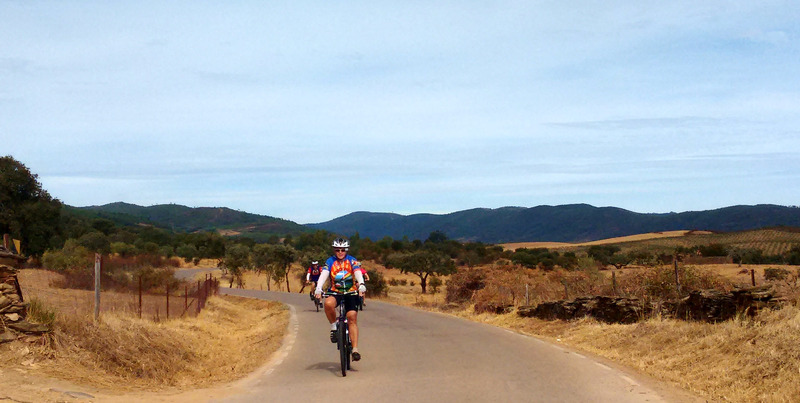 Ideally we need a minimum of six riders in order to make a tour viable – and keep down costs for you. You are welcome to provide a detailed plan of exactly what you want or just give us a ‘wish list’ and then leave it to us to come up with options that meet your requirements. Put together for a group of nine riders, this trip was an adaptation of our highly popular Border Castles Tour. 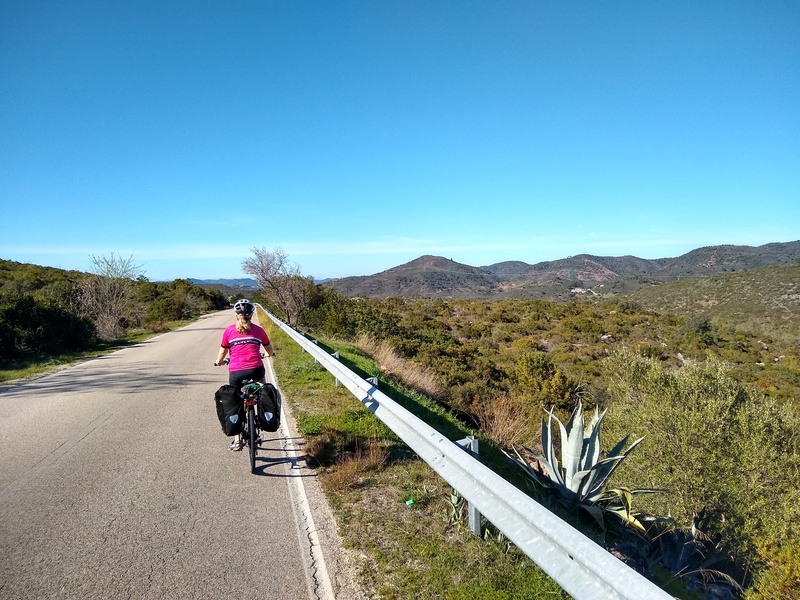 However, because this group wanted shorter rides (25-35 miles) and more rest days with optional extra rides, we altered the route to suit their requirements. 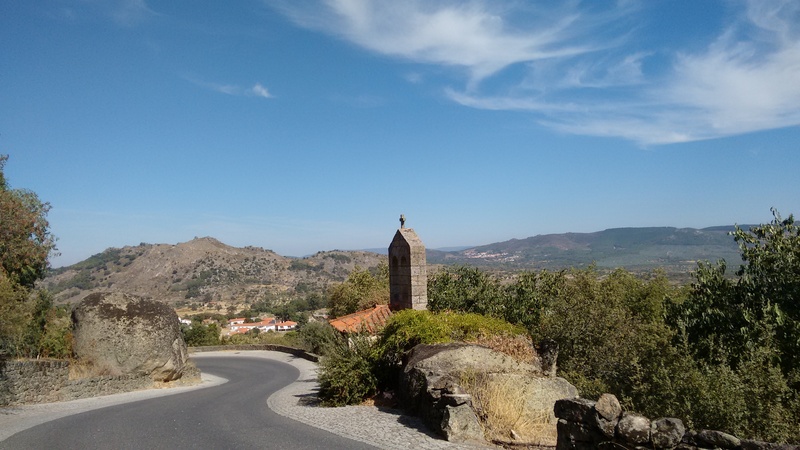 Day Ten: optional morning ride in countryside on the edge of the Serra de São Mamede natural park, plus a chance to visit the fabulous village of Marvão, a frontier border post with a 13th century castle perched atop a rocky ridge with amazing panoramic views – and nine-mile walk back to Castelo de Vide. “Huw and Carolyn are great guides and have the logistics down to an art. Our “bespoke” was designed specifically for us and it was absolutely amazing.” Deanne Unruh, Oregon. For a group of 10 people, this tour would cost €1,425 per rider* – around £1,300 or $1,670 US at current exchange rates (June 2017). *Price: The price above is an example of how much a 10-night tour is likely to cost. 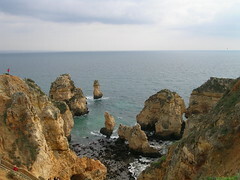 Various factors – such as the part of Portugal being visited, the time of year, the number in the group and the length of the tour – could result in the price going up or down! Once agreed, the price in euros will not change. However, as a UK-based operator, payment will be taken in sterling based on the exchange rate at the time. **Food: Vegetarian and other special diets are possible but need to be arranged in advance – and menu choices may be less varied. Please let us know about any dietary requirements and seek advice when booking. ***Support van: The support van will carry your luggage. It can also take passengers if a rider is unable to continue cycling following an accident, mechanical breakdown or other emergency. It is not suitable for using on a casual hop-on, hop-off basis and riders should be capable of riding the agreed distances on consecutive days. ****Transfers: We may be able to offer a pick-up service on Day One but this will depend on numbers and arrival times. If this is not practical for any reason we can book train/bus tickets and advise on alternative travel arrangements. The same applies for transfers at the end of the tour. *****Guides: My wife and I will alternate between riding with you and driving the support vehicle. Cycle hire – road or hybrid bike – can be arranged on your behalf but is extra. 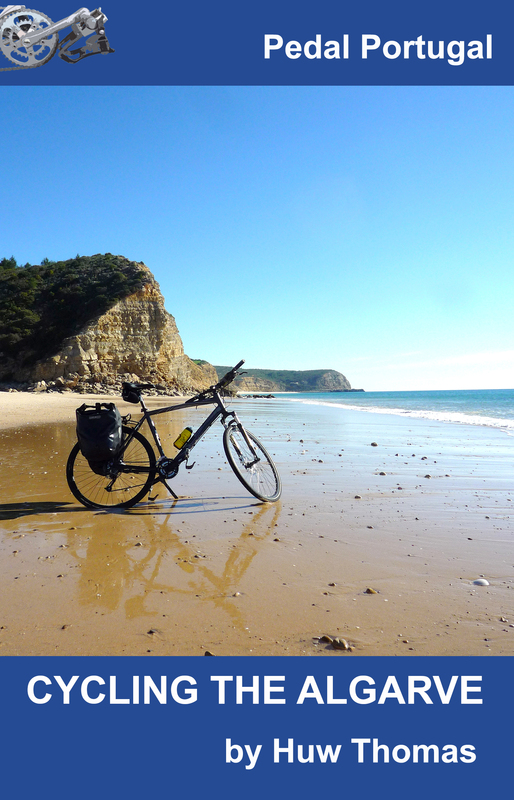 We work with Cycling Rentals, a company that is based near Lisbon but can deliver anywhere in Portugal. The exact cost will vary depending on the type of bike, any accessories required and the number of people hiring. However, the cost for a road touring bike/hybrid suspension touring bike will be around €180 for a 10-day tour. Single rooms should also be possible but for a 10-night trip this will involve an additional supplement of around €220 (exact price will depend on numbers/month). We’ve both been long-term supporters of the disaster relief organisation ShelterBox and we donate £15 to the charity for every rider who joins any of our tours. Because we can only operate a limited number of tours every year, any bespoke tours have to be fitted into our schedule alongside (or instead of) our regular tours. If you are interested in a custom tour the best thing is to contact me as soon as possible to let me know what you have in mind. Then I can tell you what’s possible and come up with some suggestions.